Earlier this year, the mayors of Memphis and Shelby counties, Tennessee, endorsed what may be a first-in-the-nation plan that officials say is a nationwide model for organizing regional strategies against blight. 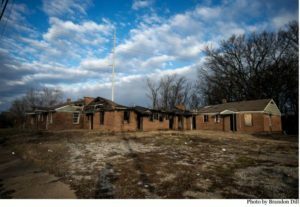 Memphis may be the only city with a charter dedicated to eliminating blight, according to Joe Schilling, a land-use expert at the Urban Institute who helped write the city’s charter. “It’s part of an emerging trend of cities trying to chart a more strategic path in its approach to address blight,” he said, noting that Flint, Michigan, made blight remediation part of its comprehensive land-use plan, and Cleveland, Ohio has a Vacant and Abandoned Property Action Council. 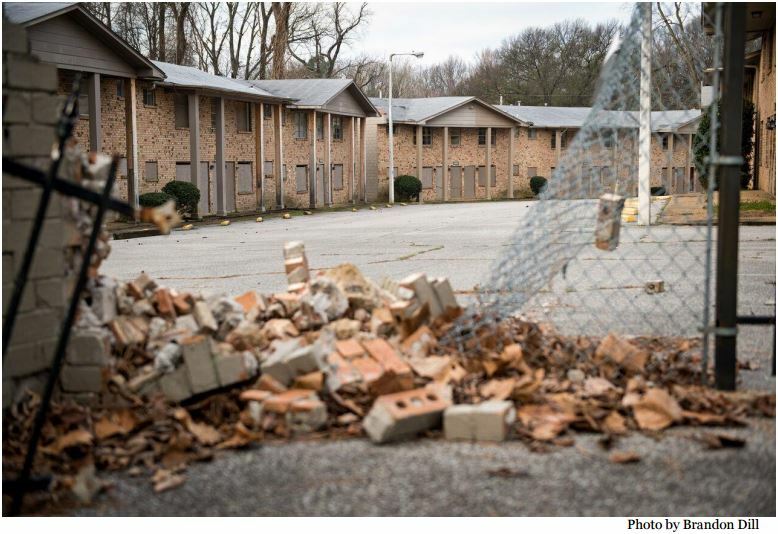 Blighted properties are a persistent problem for many Memphis neighborhoods. Some of the most visible signs of blight are litter, graffiti, unkempt lots, along with vacant and/or foreclosed homes and abandoned buildings. 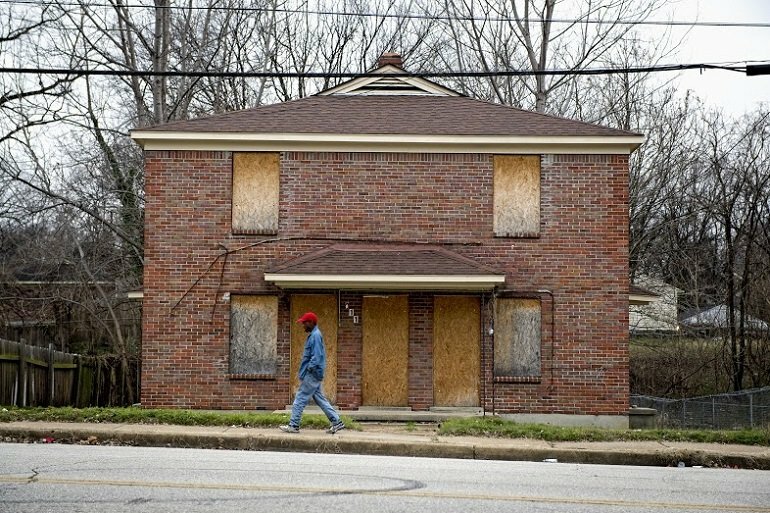 Based on the latest research, we now understand that blighted properties are often associated with a multitude of community challenges related to declining economic and housing markets, crime, poverty, and poor public health. The cumulative effect of blighted properties can deter even diligent homeowners from maintaining their properties, drain municipal budgets, and pose serious threats to local fiscal stability. At worst blighted properties can dissuade homeowners and landlords from maintaining their properties up to code and discourage private investors and developers from working in core city neighborhoods where they are needed the most. These aggregate impacts impede the city’s and the region’s economic vitality and long-term sustainability. They have a social impact that ripples throughout Memphis’ schools, businesses, homes and neighborhoods. 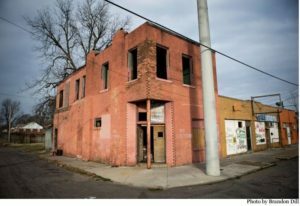 Memphis now confronts a blight epidemic, despite the best efforts of city and county government, nonprofit organizations, community based groups, institutions, and businesses. For the past decade these entities and individual residents have been working tirelessly to prevent its spread through the abatement and re-purposing of blighted properties. Unfortunately, these disparate and sometimes fragmented efforts have proven inadequate against the steady increase of blighted properties and their negative impacts on neighborhoods and overall quality of life. 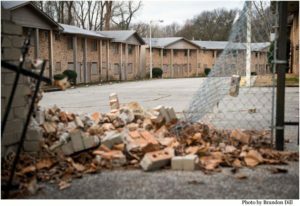 Without new strategies, tactics, and systems, blighted properties will continue to spread like a virus throughout the Greater Memphis region. The complexity of blight — from the myriad factors that create it to the political and economic conditions that perpetuate it — demands more comprehensive, coordinated, and collaborative solutions. Download the Memphis Blight Elimination Charter (PDF) photo credits.